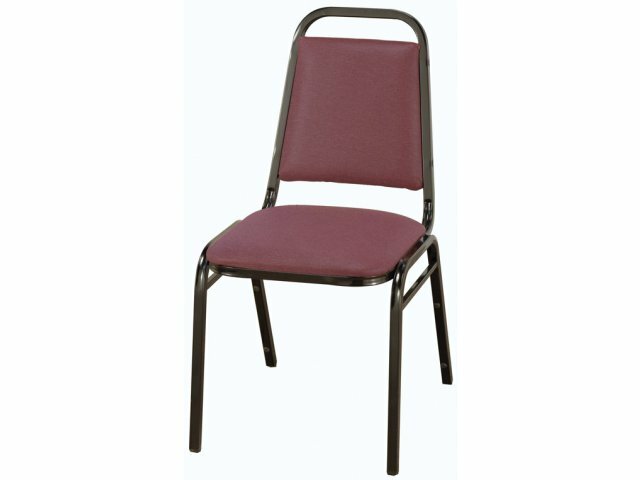 This basic custom stacking chair is an affordable stacking chair that is available in a variety of metal finishes and upholstered fabrics. Choose from a number of finishes on the sturdy steel base (18-gauge square steel tubing), then choose a fabric color and pattern that will complement your interior décor. 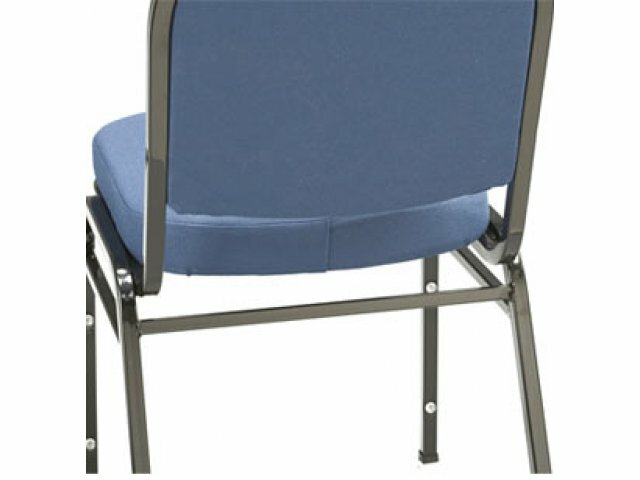 The seats have foam padding and the upholstery is treated against stains to keep these seats looking like new after years of use. 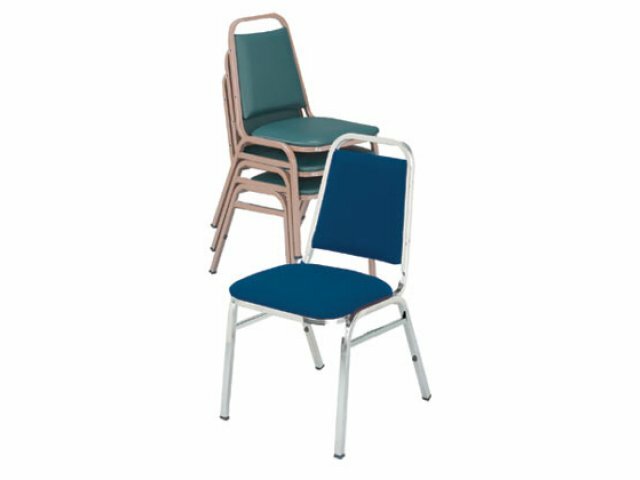 Stacking bumpers and heavy-duty glides mean that you won't damage the chairs or your floors when moving and stacking chairs. 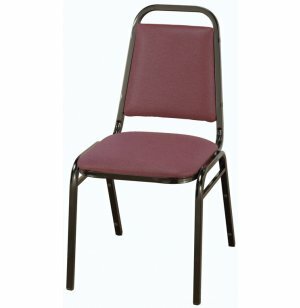 Rated to seat anyone up to 250 pounds, these seats will be a practical and useful addition in any location.